REVIEW - Volume - Use a Potion! 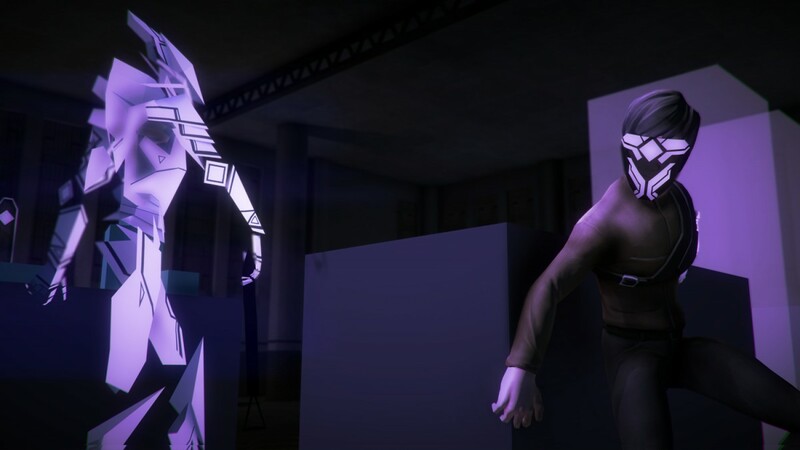 Volume is the latest release from Mike Bithell and his team at Bithell games following on from their previous success with ‘Thomas was Alone’. 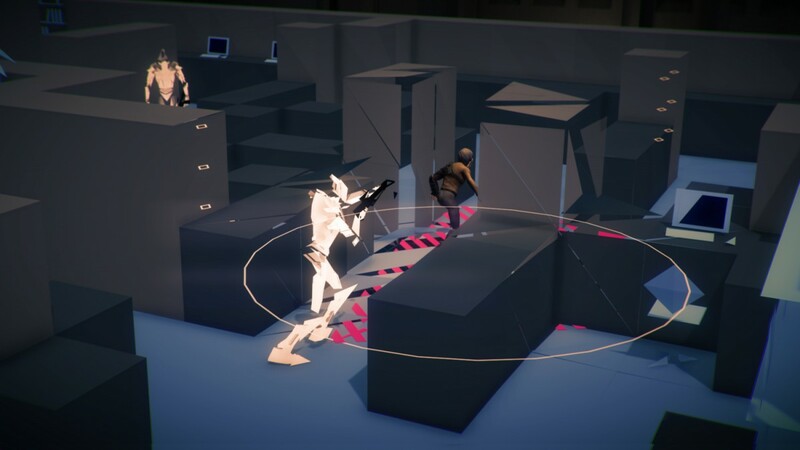 The game is best described as a Stealth-Puzzler featuring stealth mechanics reminiscent of the original Metal Gear Solid. Boasting one hundred levels and including the opportunity to design your own, the game will keep you entertained for days. The story is a modern reinvention of the Robin Hood tales,you control Rob Locksley (brilliantly voiced by YouTube star Charlie McDonnell). 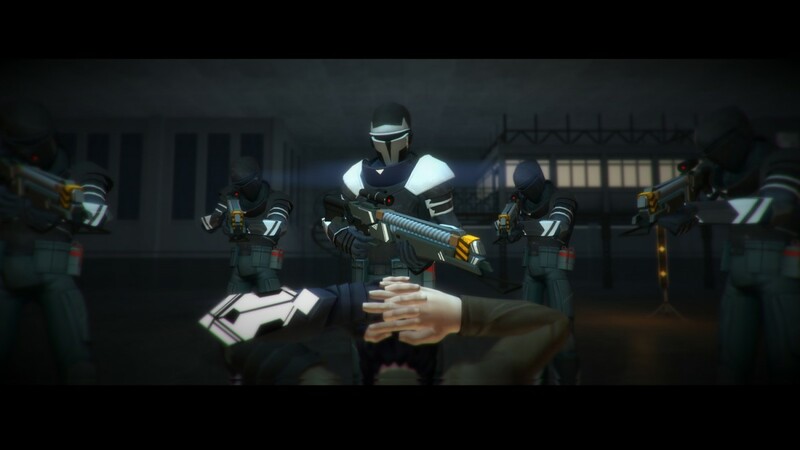 You are charged with using a device – the eponymous Volume (featuring an A.I system named Alan – voiced by Danny Wallace of Assassin’s Creed fame) to stage simulations of heists. The heists are then streamed online in the style of ‘Let’s Play’ across an England that is now a Corporatocracy. The corporation in control is Gisborne industries, run by the egotistical Guy Gisborne (voiced surprisingly by Andy Serkis) who rules using fear and propaganda as his primary weapons. The main objective of the levels is the collection of gems generated by the ‘volume system’ to simulate valuable items. The game features a throwback top down view which generally, I do not like. A reason for this in Volume is that because of the view and the style of the levels, it is sometimes quite difficult to differentiate between wall height; this becomes a problem when trying to sneak past a guard only to find that he is staring you directly in the eyes because the wall was too short. I do however realize the benefits of this, it allows for the observation of guard patrols and the guards field of vision; needless to say if they catch you it will trigger the alarm state. Another aspect it adopts from stealth classics is the ability to hide in lockers and under floorboards to avoid detection. This is essential earlier in the game, for if you are seen it is generally game over as you cannot yet defend yourself. 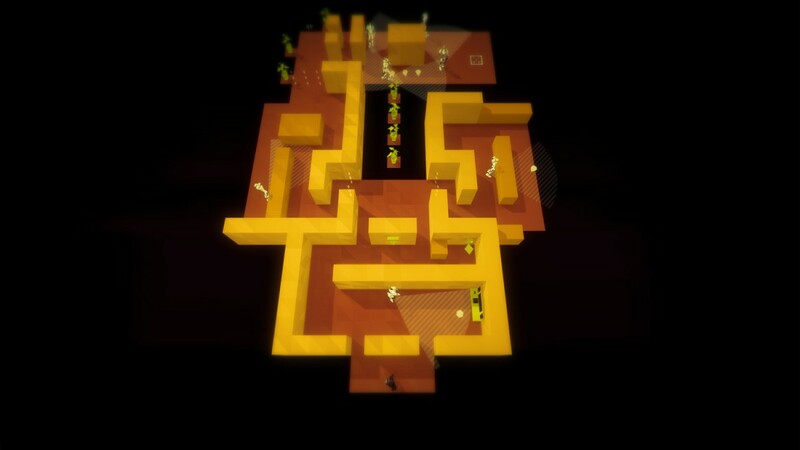 To counteract this, the developers have included a number of checkpoints throughout the levels. This sometimes makes the game a little easy, if faced with a particularly difficult section it is possible to ignore the intended gameplay and sprint for the checkpoint accepting death for progression. As you proceed through the levels you will be granted the use of several gadgets, these are highly entertaining as they provide a refreshing change from the normal fair of guns and violence. One I particularly liked was the ‘fragment’, a device within the volume which allows you to send a ghost image of Rob in a chosen direction distracting the guards and allowing you to sneak past. Other later acquired gadgets include a tripwire type weapon (allowing for the guerrilla warfare Robin Hood is famous for), and the ‘blackjack’ – essentially a stun gun. As previously mentioned the narrative is a reimagining of the classic Robin Hood tale. England has after another great War become largely ruled by Gisborne Corporation, which has lead England to buy into their defense industry. England has developed a caste system, with the families of Gisborne’s friends inheriting the wealth and powerful positions (Rob is part of one of these families). It is in this social context that Rob begins his altruistic coup of stealing from the rich and giving to the poor. This for me was one of the best things about the game, Bithell provides a nice touch of social commentary in a world that is fast becoming victim to corporations and banks but also to the rise of austerity. This is further emphasised by one of the last active politicians (obviously corrupt) in the game; looking suspiciously like David Cameron. It should be said that I personally found the graphics in Volume a little bit of a problem. While they aren’t terrible the cutscenes in particular were reminiscent of last gen consoles. The general visuals are rather block like, landscapes and enemies both suffer from this. In my opinion this made the game lack a little character with many of the levels being indistinguishable from others. I did however like the character design with the mask that Rob wears, it’s somewhat similar to the mask that ‘V’ wears in ‘V for Vendetta’, a film with quite a similar theme. The voice performances from McDonnell, Serkis and Wallace are simply sublime. McDonnell provides us with a fantastic and likable character in Volume, coming across someone who wishes to do right by everyone. The conversations between Rob and Alan provide comic relief, they form quite the pair as you travel through the levels. A problem I had was that the game has a timer for each of the Metlevels (allowing you to compete online for the best times). Me having a competitive side wanted to record the best times, listening to the dialog and concentrating on not getting caught can provide quite the challenge – dying annoyingly results in the same dialogue being frequently repeated. The music in the game is amazing, it very much adds to the feel of the game playing out fantastic string music as you sneak around, then switching to intense operatic tones to provide the urgency during the alarm state. In conclusion I would like to say that I have enjoyed playing Volume. The issues I have are minor with sometimes characterless levels and the odd glitch. The gameplay is fantastic and has me eagerly awaiting Metal Gear Solid V, the voice work is second to none and the narrative provides the much needed social commentary that has become popular this year on the indie scene.